Take a look at this handsome bird. It’s the de Havilland Comet. Here in the United States, we tend to think we invented everything that’s important, but it was actually the venerable British aircraft company that fielded the first viable passenger jet. It’s first revenue flight was on May 2, 1952 with BOAC. Britain and de Havilland quickly captured the new jetliner market, until three of the new planes fell out of the sky within months of each other in 1954. The fleet was grounded, and an extensive investigation led to the root cause; a then-unknown phenomenon known as ‘stress concentration’, which led to a complete re-design of the aircraft’s windows. 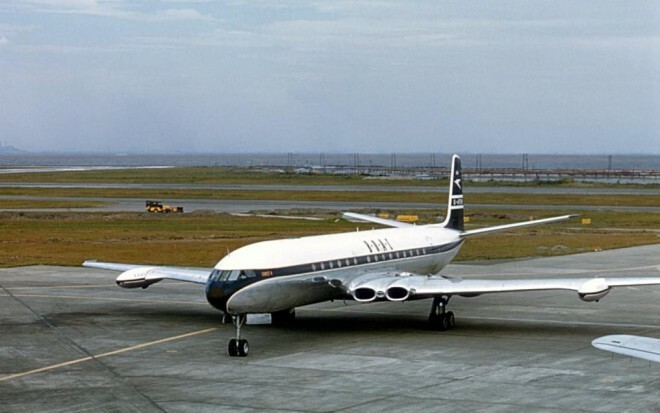 By the time a corrected version of the Comet re-took the skies in 1958, Boeing had captured the jetliner market with their equally revolutionary model 707, and have remained the industry leader ever since. But airline lessons are rarely learned well. Fast forward two decades to the 1970s. Most of us should be old enough to remember these Douglas aircraft; they’re part of an airline type called a “trike” that was popular at the time. This is the Douglas DC-10. While not as revolutionary as the jets that preceded it a generation earlier, it was part of the generation of airliners that proved they could carry almost as many passengers as the Boeing 747, but could do it more efficiently on three engines. My personal favorite all-time jetliner was the DC-10’s competitor, the elegant and refined Lockheed Tristar. But the DC-10 also went through growing pains. Early in it’s career, it suffered from a number of cargo-door failures, one of which led to the then world’s worst airline crash, the Ermenonville disaster. The plane was also grounded until the doors could be fixed. But the end of the line for the type came in 1979. During a 20-month span, no less than 4 DC-10s crashed. Not all of them were traced to problems with the plane, but by then the damage was done. 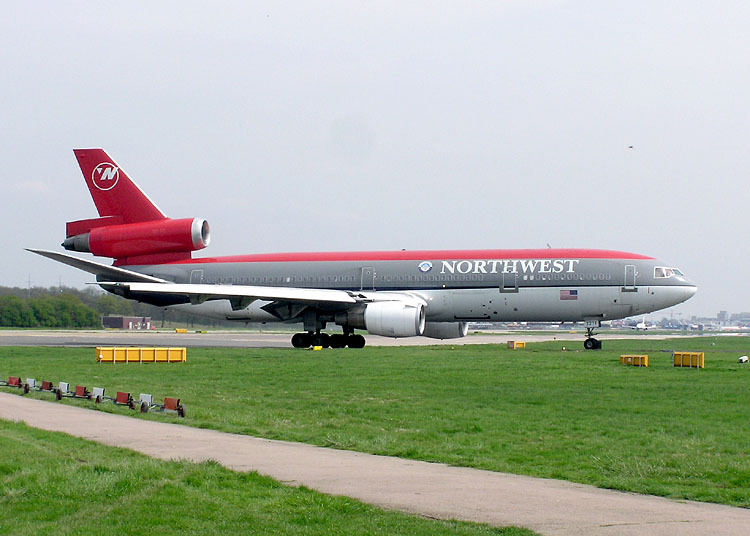 DC-10s were grounded again, and the flying public refused to set foot on one to such an extent that Douglas re-designed and re-named the plane. It’s no longer in widespread passenger service, but if you live anywhere near a major cargo airport, you see this type all the time, as Fed-Ex maintains a large fleet of MD-11s. So now we fast-forward again to the present day. A pair of brand-new Boeing 737 Max-8s have plunged to earth under mysterious circumstances. The Boeing 737 airframe itself is among the oldest passenger types still in service. The original B737-200 first entered service in 1968. It quickly became a short-haul workhorse, replacing many elderly piston aircraft and turboprops over short, high-volume routes of less than 1,500 miles. Over the decades, the plane has been repeatedly stretched, cut, widened, or otherwise modified so that the last of the “classic” series planes could carry up to 215 people on routes approaching 3,000 miles…which is just shy of transcontinental or transatlantic range. But Boeing had a problem, and that problem is Airbus. Airbus did not crack the US market until 1977, with the now defunct Eastern Airlines. Quickly establishing itself as more fuel efficient and therefore more profitable, the A300 series of jets started to erode Boeing’s stronghold on the short-haul market. Airbus planes have, over time, become larger, smoother, more efficient, and easier to fly than their Boeing counterparts. (Boeing still leads in the “handsome” factor, trust me on this.) Boeing was finally faced with a tough choice; design an entirely new aircraft from the ground up to compete with Airbus, or continue to leverage the B737 airframe. Boeing chose the latter. The new Max-8 is yet another chopped and stretched version of that original airframe dating back to 1968. But Boeing faced the biggest challenge in attaching a more efficient engine. Here’s a classic series aircraft. Pay particular attention to the long, narrow engines under those wings. It’s a now-obsolescent type called a “turbojet”. Essentially, the entire mass of air goes in the front of the engine, through the combustion chamber and burns out the end. It’s fast and powerful, but it is horribly inefficient. Over the decades, a new type has become prevalent…first the ‘turbofan’, and now the “high-bypass turbofan”. Now just a small amount of that airflow actually goes through the combustion chamber. Through an extensive series of turbines and gearboxes, the exhaust flow turns a compressor that forces more and more air around the engine at jet speeds. It’s this “bypass” that creates most of the thrust modern jets use to fly. The engines are quite large. For comparison, the largest turbofan of all, found on the Boeing 777, is actually larger in diameter than the fuselage of the humble B737, but I digress. Designed in the turbojet era, there simply wasn’t enough room under the wings of a 737 to mount a more efficient engine. Now, here is a 737 Max 8. Boeing’s solution was to extend the nose gear of the plane and lift it higher off the ground. The engine mount point was changed, and those turbofans sit higher and further forward on the wing. While more efficient, it had the unintended effect of upsetting the aerodynamic balance and actually making the plane unflyable by mere humans. Boeing continued their solution by installing a complex control system that would detect both aerodynamic stalls and engine-compressor stalls, and automatically make the aircraft take the appropriate action by pitching the nose down. So there you have it. Boeing has built the most efficient aircraft possible with a fifty-year-old airframe, but in order to do it, they made it impossible to fly without a computer. While I cannot speculate about what either crew was doing at the time of their respective crashes…just imagine the nightmare scenario of a fully-loaded aircraft pitching up too sharply on the takeoff roll. The computer senses an aerodynamic stall, and automatically forces the nose down to prevent it….except the only thing you see out the front window is the ground coming up too fast to do anything about it. Remarkably, incredibly, astonishingly…the current occupant of the White House actually got this one right, and ordered the fleet grounded. (although his tweet still reveals his ignorance.) It’s Boeing’s move now, and one can only hope they figure this out before another hull-loss and even more casualties.